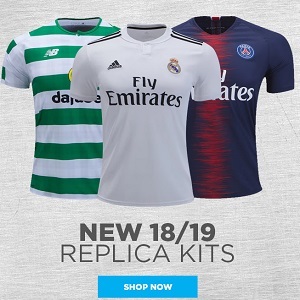 Following their announcement of the signings of former Brazilian internationals Pato and Cristiane, São Paulo Futebol Clube has launched their 2019/20 adidas home kit. The latest Tircolor primary jersey features São Paulo FC’s distinctive white based with black are red chest stripes. As always, the SPFC crest appears at the center of the bands with a series of stars recogninizing the club’s Campeonato Brasileiro Série A, Copa Libertadores and World Club Cup titles. Sao Paulo’s 19/20 home shirt uses a new v-neck design from adidas with the brand’s famous three stripes running down its sides. The collar of the jerseyis inspired by adidas’ football kits of the 1990s.